Now, me being the hip hop head that I am, I’ve never really paid that much attention to R&B lyrics. 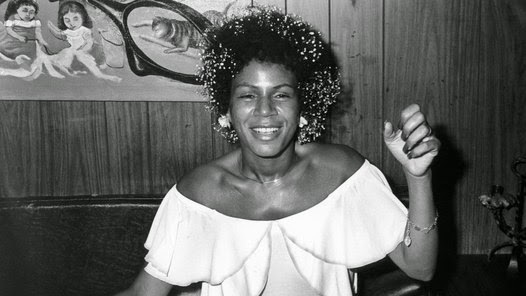 But the other day I was in the car blasting Minnie Ripperton’s “Loving You (which is easily one of my favorite songs EVER) and I heard a lyric that I’ve sung countless times but it REALLY hit me what she was sings, “Stay with me, while we grow old, and we will live each day in springtime.” Wow. I guess with so many celebrity couples getting divorce not to mention a rack of couples that I know myself that are going through divorce, the whole concept of growing old together seems so middle ages right? My homegirl’s mother (who’s been married to her husband for what seems like forever) gave me some GREAT advice when I first got married. She told me, that you have to treat your marriage like you would your child. She told me that when you have a baby, he/she needs you night and day. They depend on you for everything. She went onto explain that it’s the same in marriage. That during the first couple of years, the marriage can be very fragile and both spouses need to care for it because those first years are the foundation that you’re going to build your family on and I think a lot of us take those beginning years for granted. A lot of folk don’t know that back in biblical times, once a man was married that he could not be sent to war for a year or have any duties put on him so that he and his wife could have an ENTIRE year to enjoy their marriage without any distractions. Now of course in modern times, that year has been shortened to a week for the honeymoon, but that scripture always spoke to me about the importance of the first year of marriage. Now, my homegirl’s mother went on to explain that just as your child grows older, and even though they may not need you as much, you still have to care for them, just in a different way. Sometimes your child may need your help financially and other times they may need some advice or they may just need a uplifting word from you, but no matter what they need, you’ll adjust your care for them based off of what they need. And she explained that it’s the same with marriage. Your marriage is going to go though it’s different challenges and problems over the years as you both continue to grow together but it’s up to you to figure out what your marriage needs during those times so that you two can grow old together because your marriage is like a marathon. And speaking of marathons, I have a rack of friends who are running marathons all of a sudden. And when I rap with them, I always ask, so what happens if you can’t (not won’t finish the race but physically CAN’T) finish the race. And they all look at me like I’m buggin. And one of my peoples told me straight up, “that’s not an option.” And THAT’S the attitude we need when we’re running this marathon we call our marriage. But back to the science Minnie’s was dropping. What I want to challenge couples to do is, to make that lyric, a part of their marriage mission statement. So every time you have to make a decision, I want you to ask yourself, how is this decision going to help my spouse and I stay together as we grow old? How is this decision gonna make my marriage stronger? And it’s not like Minnie just left us with the “stay with me while we grow old” line. Naw, she threw in the added bonus of “and we will spend each day in springtime.” Do ya’ll know how ILL that line is?!?!?! Ya’ll know how important springtime is to folk, especially after this crazy LOOOOONG winter we just had. We were ALL waiting for this weather to finally break so we could enjoy ourselves. And that’s what springtime represents…enjoying yourself. And that’s what Minnie is saying, let’s not just grow old together, but let’s do it while we’re enjoying each other. And what could be better then that?